David Cassidy's tragic family history of dementia has always haunted him; and now it's here. The former star of TV's The Partridge Family said Monday he is battling the memory-destroying brain disorder. Cassidy's representative, Jo-Ann Geffen, confirmed to USA TODAY Monday that Cassidy, 66, has been diagnosed with dementia. He acknowledged the diagnosis in an interview with People magazine, saying he watched his grandfather struggle with dementia and saw his mother “disappear” from it as well. "I was in denial, but a part of me always knew this was coming," he told the magazine. Cassidy is the son of a Hollywood family: His father, actor Jack Cassidy, suffered from bipolar disorder and alcoholism, and displayed increasingly erratic behavior towards the end of his life. He died in a fire in 1976 when he fell asleep with a lit cigarette. His mother, actress, Evelyn Ward, died in 2012. Cassidy's stepmother, Shirley Jones, co-starred with her stepson in The Partridge Family, a musical sitcom based on a real family about a widow and her children who embark on a musical career as a band. Cassidy's revelation about his health came two days after TMZ posted a video on Sunday that the gossip website claimed showed Cassidy slurring his words and forgetting lyrics in a performance near Los Angeles on Saturday night. The website said Cassidy "seems to have fallen off the wagon," a reference to Cassidy's long struggle with substance abuse, including a stint in rehab in 2014. He said in an interview on CNN at the time that he was an alcoholic. "If I take another drink, I'm going to die, physically, mentally, emotionally, spiritually. I'm dead," he said. Later Monday, TMZ updated its post to add that while it may have "looked like he fell off the wagon," it wasn't that. "He says he has dementia," the site said. Cassidy announced earlier this month on his website that he would be retiring at the end of 2017, after 49 years of concert touring. On Feb. 7, he posted a message: "I will always be eternally grateful for the love and support you’ve shown me. I still love very much to play and perform live. But it’s much more difficult for me now. I’m not going to vanish or disappear forever." Cassidy has had multiple arrests for drunk driving. In November 2010, he was charged with a DUI and was subsequently charged with the same offense in August 2013 and January 2014. A month after his third arrest, his wife, Sue Shifrin-Cassidy, filed for divorce. In February 2015, the actor filed for bankruptcy. And in October 2015, he was charged following a hit-and-run crash in Fort Lauderdale, Fla., when he allegedly sideswiped a truck and then allegedly attempted to cover his license plate as he fled the scene. Former Partridge Family singer and actor David Cassidy has said he is suffering from dementia. The revelation comes after performances in California in which he forgot his words and appeared physically unstable. The 66-year-old star, a teen idol in the 1970s with hits like How Can I Be Sure?, has told People magazine that he will stop touring as a musician to focus on his health. "I was in denial, but a part of me always knew this was coming," he said. His mother also suffered from the disease. "I want to focus on what I am, who I am and how I've been, without any distractions... I want to love. I want to enjoy life," he told the magazine. Videos on social media of performances by the singer over the weekend at Agoura, west of Los Angeles, raised concerns about his health. Cassidy, whose hits include I Think I Love You and Cherish, has struggled with drinking and financial troubles recently. In 2015, he filed for bankruptcy. And between 2010 and 2014, he was arrested three times for drunken driving, and was ordered to rehab as part of his sentence in 2014. 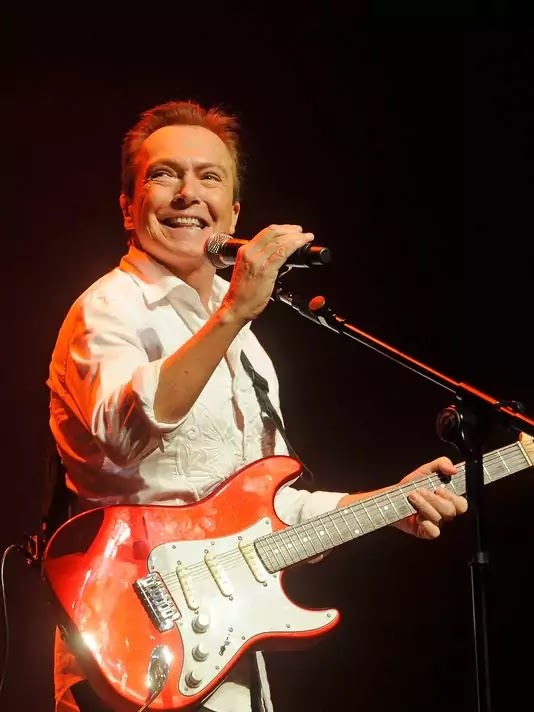 The former teen pop idol David Cassidy has revealed he has dementia, a day after weekend performances in California in which he forgot his words and appeared to fall off the stage. The former Partridge Family singer and actor, 66, told People magazine he was fighting the same disease that afflicted his mother. “I was in denial but a part of me always knew this was coming,” Cassidy said. Cassidy told the magazine he had decided to stop touring as a musician to concentrate on his health. Cassidy’s publicist said his comments were accurate but gave no further details. Videos taken by fans showed the singer struggling to remember words to some of his old hits at small venue concerts in southern California on Saturday and Sunday. At one point he appeared to fall off the side of a small stage before climbing back up. Cassidy, the onetime teenage heart-throb who had hits with Cherish and I Think I Love You in the 1970s, has had drinking and financial troubles in recent years. In 2015 he had to auction his Florida home after a bankruptcy filing. He was arrested three times for drunken driving between 2010 and 2014, and was ordered to rehab. Cassidy appeared in several stage shows after his career as a solo singer declined. He played an ageing former teen heartthrob in the short-lived 2009 TV comedy Ruby and the Rockits, and was on Celebrity Apprentice in 2011. 0 Response to "David Cassidy of 'Partridge Family' says he has dementia"